Are you looking forward to generating qualitative leads who can get converted within no time? Has your Ad campaign gone wrong? Go no further, byPeople Technologies Company has your back as we provide best PPC Management Services. Our team of PPC experts channelizes the Ads and helps in providing the best Google AdWords campaign. 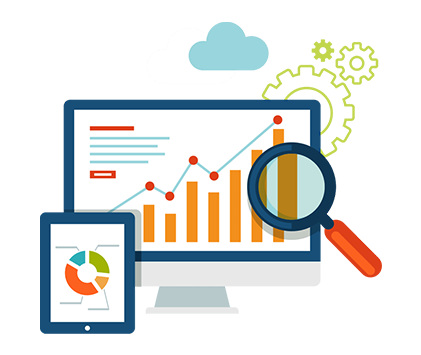 We render support on complete analysis and AdWords audit, manual reporting, Ad testing scripts and carry out advanced bidding for our clientele. We also provide Facebook Ads management services and PPC Services for the search engines like Bing and web portals like Yahoo. The in-house Social Media Marketing specialists from byPeople Technologies Company will carry out the full audit of your website in order to initialize the AdWords campaign. Our professionals will design the ads for your website, set up the AdWords campaign, carry out analysis of the data and help in optimizing the site’s performance. This will increase your revenue. Here are some of the PPC Marketing Services provided by us. Our Company’s specialists target the audiences of the company that will help in generating profit through Facebook. We design the Facebook Ads using the latest technologies, as it proves effective for generating highly funneled marketing directions. We use the business database to target their business audience effectively and carve out the lookalike campaigns that attract newer traffic. byPeople Technologies Company carries out the thorough audit of the AdWords account of the clients before starting the campaign. We look after the account’s activity and diagnosis, mobile strategies, landing pages, the efficiency of keywords, GEO Targeting and much more. This way we save on the costs of AdWords campaign and help the clients to attain maximum ROI. With our PPC campaign, our experts help the companies to get quality traffic with good leads and clicks. This will help in getting top ranking in the Google searches too. Our PPC service helps the business sites to get the desirable conversion rate by targeting right keywords. Our Company builds the unique Bing Ads campaign for the businesses as it targets a limited number of audiences. We use ‘voice search queries’ and ‘bespoke audience targeting’ for building a matchless Bing Campaign. Hire Us for Your Next Campaign!